Breeding dogs to achieve the desired characteristics is a science for mushers. They breed dogs with these characteristics, looking at the dogs’ backgrounds of their “ancestors”. One line, descended from Togo and Leonhard Seppala’s Siberian huskys who ran the Serum Run of 1925, is called the Seppala Siberian. 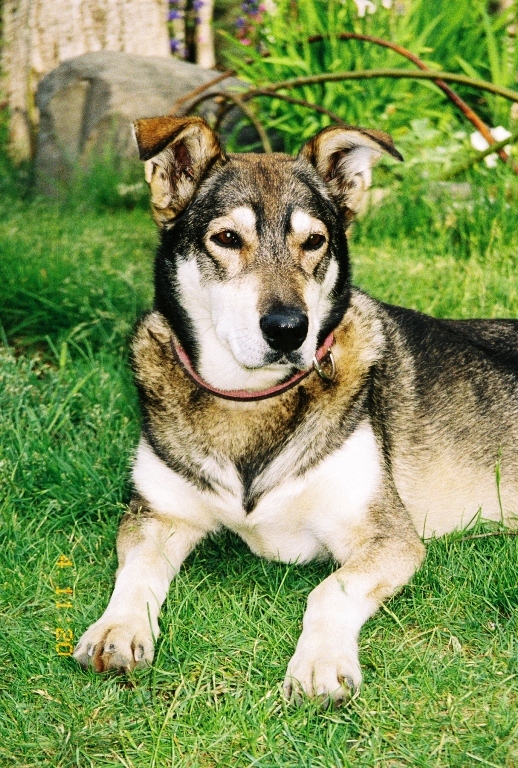 Visit this site http://www.seppalas.com/index.htm to find out more about the Seppala Siberian, which is considered a natural dog. Be sure to visit the page about the Seppala Standard, because this shows the characteristics formed by nature and function that define a Seppala Siberian. The page called What is a Seppala traces the breeding history of this working dog. Another type of dog that mushers breed is the Alaskan husky, the result of breeding to develop a faster dog with northern dog characteristics and the physical attributes of the working sled dog. Most mushers have the Alaskan husky. When I first saw an Alaskan husky, I was struck by how they looked like a mutt—you can see the Siberian and northern dog characteristics in them, but also the characteristics of a hound. (A mutt is a mixed breed dog, and I use the term with all respect to this husky.) The Alaskan husky is smaller than the Siberian or malamute, making it a faster dog. Although not recognized as a pedigreed dog, mushers carefully plan breeding of this dog to produce the desired results. Some mushers prefer to run only Siberians, so watch Blake Freking’s team or Karen Ramstead’s team to see Siberians in the Iditarod. Jim Lanier runs only white dogs on his team. Wonder what kind of genetic planning that entails to get so many white dogs? This lesson for middle school focuses on physical characteristics of sled dogs. A genetics worksheet is included, and a website address for video and information about sled dogs. These pictures can be used with the lesson which addresses eye color, straight or floppy ears, and bushy tails in dogs. Many thanks to Susan Harrington and my husband for explaining genetics to me and helping me develop this lesson. ← Brochures, Research, Cite Your Sources!